CD in a slim DVD case (CD size) with 3 inlays, limited edition of 100 hand-numbered copies. Info: This release is decitated to Mio, a little person that only lives 27 days in this world. If you are a parent, you know what childrens represents for us and we couldn't imagine when one of this little creatures suddenly goes out from our life. Under this circumstance was "Allumfassender unkontrollierbarer Sog" created. Customer evaluation for "Gehirn. 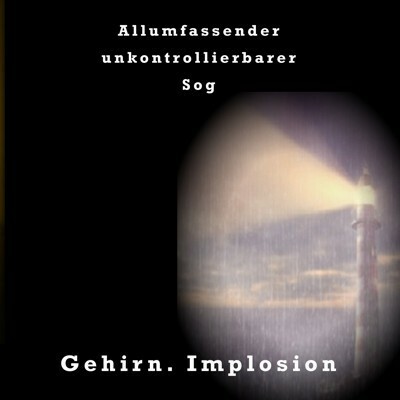 Implosion - Unkontrollierbarer Sog CD (Lim100)"